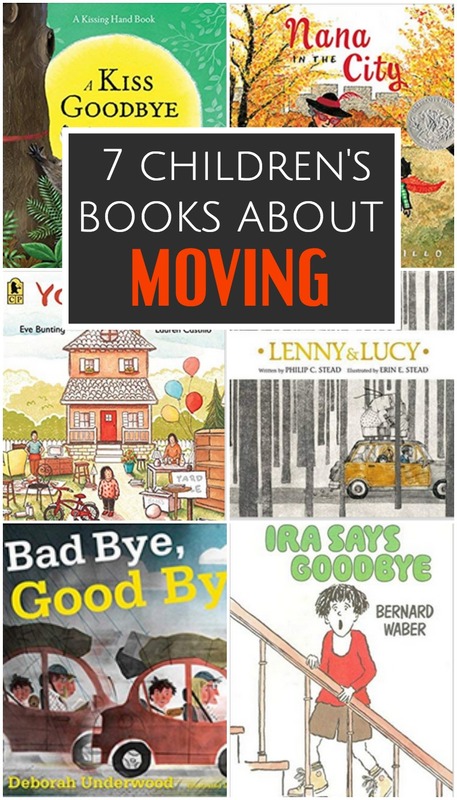 Whether you’re preparing for a move or helping your child understand a friend moving away, these seven children’s books about moving are perfect for broaching the topic in a gentle way! This weekend is go-time for our move and since this is our 11th move, I’ve learned a thing or two about how tricky moving can be, especially for children. 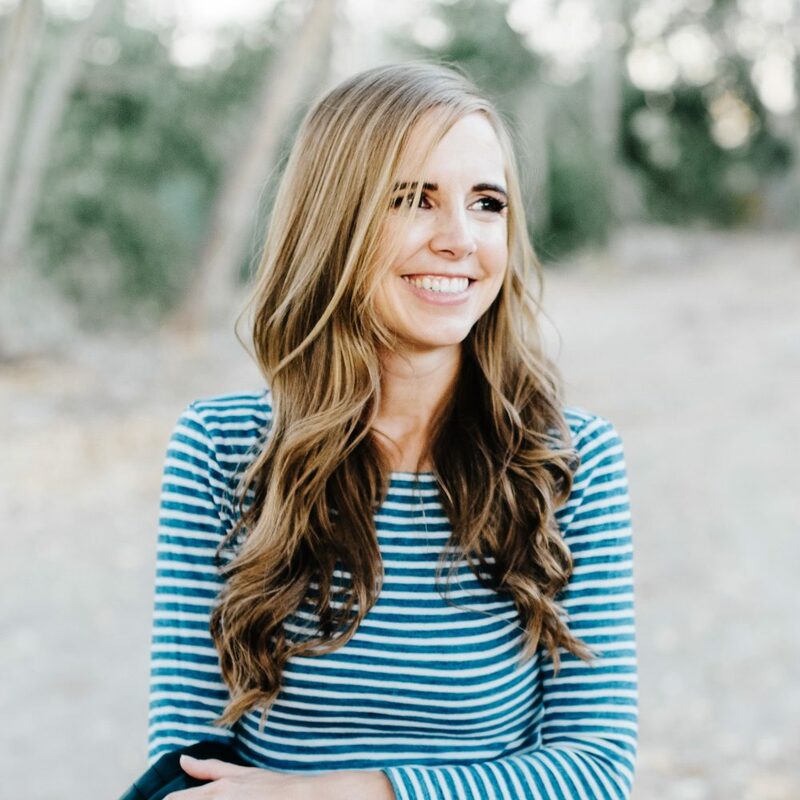 As an adult, a move is challenging in lots of logistical ways as well as emotional, but for a child, it’s mostly just an emotional and disconcerting time. This book starts off with everything bad. The moving guys are bad, the boxes are bad, the goodbyes (make that “bad byes”) to friends, and heading out on a long long car ride to a new house is extra bad. But after a while, things aren’t QUITE so bad. The family stops at a hotel with a pool (and an ice machine!) and the road trip itself is surprisingly beautiful. And when the family arrives at their new home, next door there is a boy eager to make friends. Maybe not every bye has to be bad. In fact, some could even be good byes. Callie’s family has spread everything they own out on the front lawn to sell because they have to move to a smaller apartment. This sweet story sensitively deals with the pain of parting with your possessions and leaving a home and neighborhood you love, while also acknowledging that a home is family, not things. When Reggie, Ira’s best friend, announces he is moving away, Ira is devastated. And he’s even more heartbroken when Reggie seems not to care at all about leaving Ira behind. But when the big moving day arrives, it turns out that maybe Reggie is just as sad as Ira is about saying goodbye. When a little boy goes to visit his grandmother for the night in her new city home, he is frightened by how different it is from the quiet home he is used to. But his grandmother patiently points out all the beautiful and fun things about the city and why she loves this new home, and eventually he comes to see the beauty in city life too, even if it’s not what he expected. You already know Alexander from his no-good, very bad day. And now things are getting worse. Because Alexander’s family thinks they are moving. Obviously they are wrong, because Alexander isn’t moving and he’s DEFINITELY not leaving behind his special things and special places. And if he’s forced to move, he’s at least not ever going to move again. This children’s books about moving is good for a chuckle while reminding children that they’re not the only ones worried about making a move. Peter and his dad have just moved and the new home feels scary, even with a dog to protect them. So Peter creates Lenny, the guardian of the bridge. And it turns out Lenny is a little lonely too and needs a friend. Fortunately new friends appear for both of them and they discover that their new home isn’t so lonely or frightening after all. You may remember Chester Raccoon from his Kissing Hand days, but now their family is moving and Chester is devastated to leave behind the forest he knows and loves. But as he goes around to say goodbye to each beloved tree, he slowly begins to recognize that the most important part of his life is his family and that, as long as he is with them, he is home. 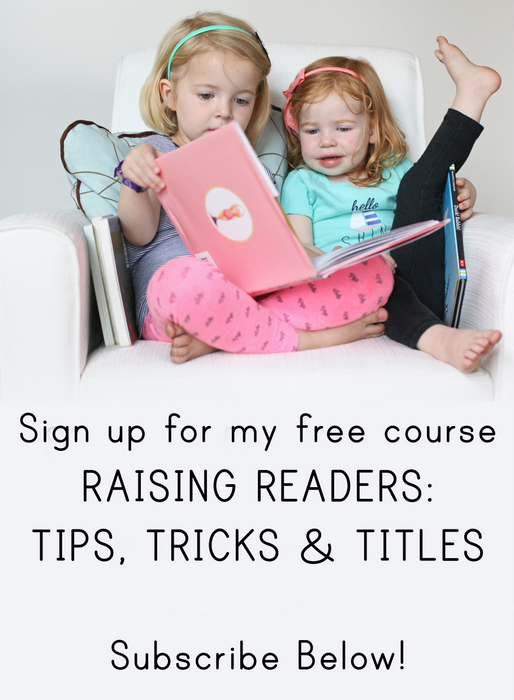 If you have other favorite children’s books about moving, I’d love to hear any suggestions! In our married life, we have moved only twice, not counting a short stay at my cousin’s while our house was being finished. Our daughter was not quite two when we last moved. I wanted to be sure that she understood what was going to happen. Anno’s Counting House is a sweet, wordless picture book in which ten people and all of their possessions move out of one house and into another. There is a detailed review of it here. My favorite is by far “Half a World Away.” Beautiful illustrations and we gave it as a gift to my oldest’s best friend when we moved. Not specifically a moving book, but when I moved a friend gave me “Courage” by Bernard Waber. It tells all different ways of showing courage and doing hard things. One of the last lines is “Courage is sometimes saying goodbye.” I still get emotional at that part. What a great list! I moved 10 times before I turned 18. I wish I had read these!